The Architect Premium Series offers a variety of in-wall and in-ceiling loudspeakers featuring long-throw poly woofers with butyl rubber surrounds and pivoting soft dome tweeters. The Series utilizes a proven mounting system. 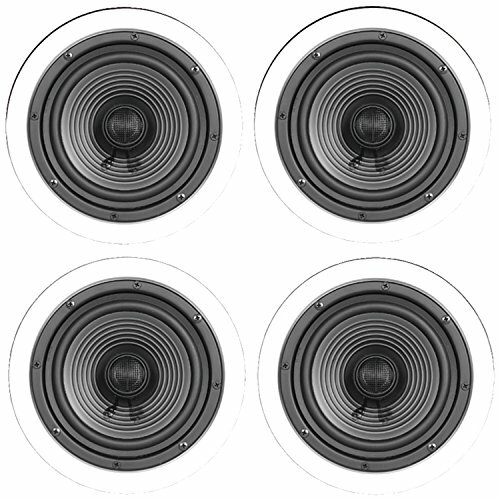 The 6.5" Premium Series Ceiling Speaker Contractor 4 pk contains 2 pair of SC-602E 6.5" round 2-way in-ceiling loudspeakers. Their power handling is 40 watts nominal, 80 watts max. Impedance is 8ohm nominal. Overall dimensions are 8.38" round with cutout dimensions of 7.38" round x 2.88" deep. The frame and perforated metal grill can be painted to match the mounting surface. The four speakers come bulk packaged. If you have any questions about this product by ARCHITECH, contact us by completing and submitting the form below. If you are looking for a specif part number, please include it with your message.